There's precious little history to be found in Tokyo - a city destroyed twice in the 20th century. But what you'll find is a futuristic and interesting city, that keeps reinventing itself. Whilst it may lack one or two stand out attractions there's plenty to see and do. There are more museums here than anywhere else in the world. And plenty of galleries too. 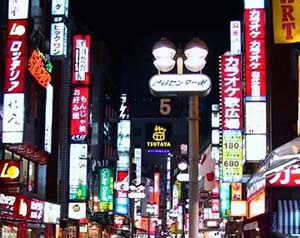 A visit to Tokyo wouldn't be complete without a trip to Ginza, the famous retail zone. Department stores and traditional shops stand cheek by jowl with the high tech shops with all the latest gadgets. All of this doesn't come cheap - Tokyo is an expensive city, but if you stick to a budget you'll enjoy your time in this modern and fascinating city.